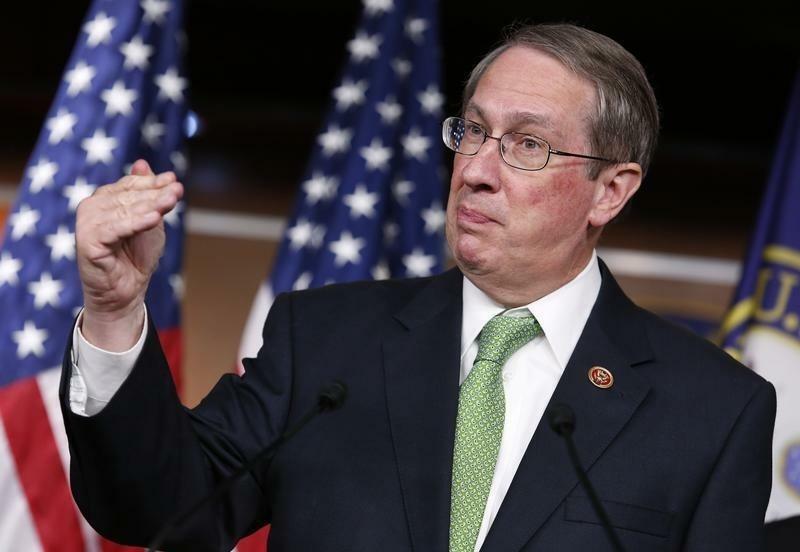 House Judiciary Committee Chairman Bob Goodlatte (R-VA). U.S. lawmakers introduced legislation on Tuesday to end spy agencies’ bulk collection of Americans’ telephone data, setting up a potential showdown over the program, which expires on June 1. Republican U.S. Representatives Bob Goodlatte and Jim Sensenbrenner and Democrats John Conyers and Jerry Nadler introduced the “USA Freedom Act” in the House of Representatives, seeking to tighten control of a program publicly exposed two years ago by former National Security Agency contractor Edward Snowden. Similar legislation was introduced in the U.S. Senate by Democrat Patrick Leahy and Republican Mike Lee. The bills would bar the bulk collection of Americans’ telephone records under Section 215 of the USA Patriot Act and other intelligence authorities, and increase transparency and accountability in surveillance programs. They are supported by privacy groups but will run into opposition in Congress and at the White House. Democratic President Barack Obama and many other Republicans and Democrats in Congress want to retain the mass data-collection program as a national security tool, but with substantial changes. But other lawmakers want it to continue unchanged. Earlier this month, Republican Senate Majority Leader Mitch McConnell said he was sponsoring a bill to extend unchanged until Dec. 31, 2020, the Patriot Act provision, which the NSA has used to collect and store vast quantities of “metadata” charting telephone calls made by Americans. However, McConnell said he intended his bill to be a base for lawmakers to start debate on the issue. The NSA can have any private information it wants, does not matter: it is the Government, it’s under the Law. However, commercial companies like Google, Yahoo! and Facebook until recently could do with private information whatever they wanted, and this was not regulated in any way. I made this impossible, commercially unnecessary. How? Evidently, that the phrase ‘Fire!’ has different importance into both sentences, in regard to extra information in both. This distinction is reflected as the phrase weights: the first has 1, the second – 0.02; the greater weight signifies stronger emotional ‘acuteness’. First you need to parse obtaining phrases from clauses, for sentences and paragraphs. Next, you calculate Internal statistics, weights; where the weight refers to the frequency that a phrase occurs in relation to other phrases. After that data is indexed by common dictionary, like Webster, and annotated by subtexts. To see the validity of technology – pick up any sentence. All other technologies, used by all current companies, depend on spying, on quires, on SQL, all of them. Being structured information will search for users based on their profiles of structured data. Each and every user can get only specifically tailored for him information: there is no any privacy issue, nobody ever will know what the user got and read. No spam! My technology exploits the Laws of Nature, which determine the inner construction of all Languages: I came from Analytic Philosophy, from Internal Relations Theory.